Born in the MidWest, married to a local boy from the islands. I have lived most of my adult life in Hawaii. Sharing mostly fun, recycled, upcycled how-to projects. Musings on design, style & life. I love to share my endeavors. My brain is kinda scattered as are my likes. Aloha! 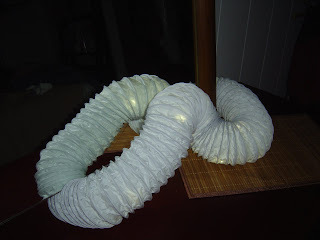 http://www.ehow.com/how_4590468_dryer-vent-hose-duct-lamp.html I made this today. It's a dryer vent hose duct lamp (say it fast 4 times). My pics aren't too good, but in person this is WOW! It puts the mood in mood lighting. AND depending on where you purchase the 3 items needed to make it, (or maybe you have these already at home) the cost will vary between $5 and $10. 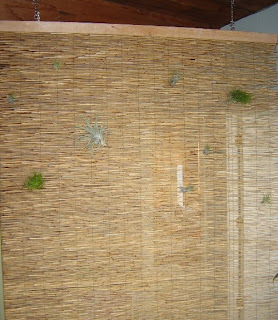 If you want to make one, click on the link to my ehow site. If you ask me where I got the idea, I actually made one like 10 years ago, forgot about it and today the idea fell back into my noggin! :) Enjoy! So glad to hear from you! Thanks for visiting! I am a participant in the Googles AdSense program. Locate a Charity Thrift Shop Wherever You Are! Make a CD Cover Collage! YIPPEE!! I made eHow of the Day! A Real Sallygoodin of a Couch!